Today’s neat little web design template is Creative+ – A minimal blog design layout. This clean and minimal design is ready to take straight into WordPress or your CMS of choice. Download this free PSD Blog template web design psd and get blogging! 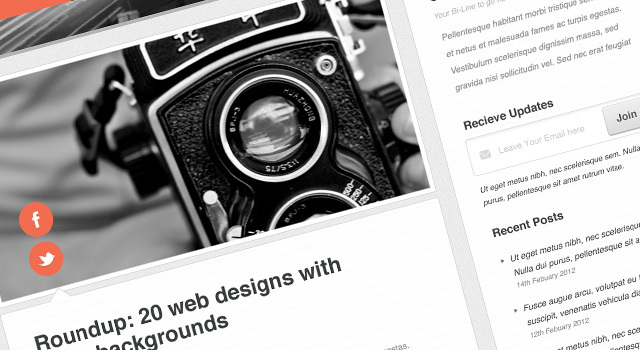 Today’s massive download is a awesome portfolio blog website to showcase your awesome work! Presenting…Gridly! The awesome guys at @eleventhemes have hadcrafted this awesome design into a free Wordpress theme for you guys! How nice is that?? !